change the whole look of a photograph. 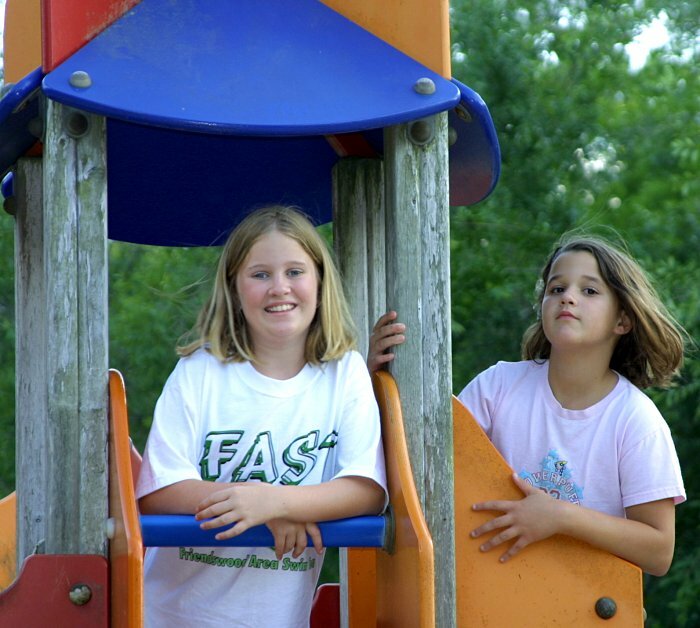 Click on the image on the left to open the bigger one. Right click and save the large size image as CaityPanda.jpg somewhere on your hard drive. Open the image in Paint Shop Pro. Open the Layer palette by pressing the L key on the keyboard. Right click the background layer and pick Duplicate from the flyout box. Right click the Copy of the Background layer on the Layer palette and re-name it Threshold. With the Threshold layer selected, go to Colors on the Menu Bar at the top of PSP and select Adjust... Threshold from the flyout boxes. On the Threshold Dialog box, set the level to 110 and press OK. 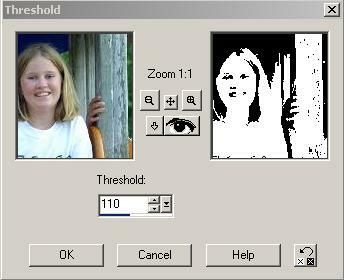 The Threshold level turns a picture into a black-and-white image. The Histogram values determine whether a pixel becomes white or black. Pixels with a brightness value below the Threshold level turn black and pixels with a brightness value equal to or greater than the Threshold level turn white. Pick Hue from the flyout box. On the layer palette, slide the opacity slider to the left to about 60. Notice how the color begins to show up in the background. Adjust the opacity level on the Threshold level to control how much color is in the image. At an Opacity value of 40. At an Opacity value of 80. The Threshold layer acts like a mask and when the layer is set to Hue, it controls the saturation of the dark places in the image. Don't ask me why that happens, but it does.